Mr. Rob the counselor and Bradley Clark, 4, watch as a volcano erupts. The idea was to have a “recess” for homeschooled children: a drop-off program chock full of engaging outdoor activities and a time that children could have away from their parents, which is not easy to come by when homeschooling. Alysha Leidel was appreciative of the available outlets for her six-year-old daughter, Sloan to engage in, but she desired a place where she could drop her child off and just say “Be a kid and have a blast!” without having to worry about who she was with and what she was doing. So, in spring of 2012, Alysha approached Camp Cristina about starting an outdoor activities program for homeschoolers and was received with open arms. Activities are pre-planned on the 64-acre property, but input about what the campers want to do is also taken into consideration. The campers have scavenger hunts on the nature trails, zip lines, a giant rope swing, high wall climbing and BB-gun and archery lessons with a Certified Florida Wildlife Counselor. There is also a playground, sports fields and courts for soccer, kickball, basketball and the like. Camp counselor is Mr. Rob, who has recently retired from the army and has a degree in microbiology. 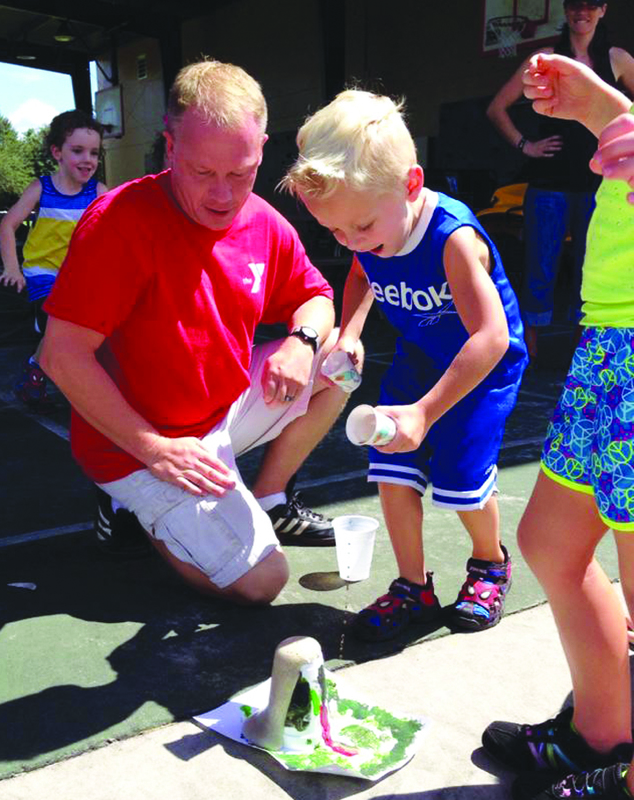 In addition to outdoor fun, kids can also make crafts and messy science experiments like building and initiating the lava reaction on each of their own volcanoes. As the program grows, there is hope to incorporate more messy science experiments, cooking classes and fishing trips. The Camp Cristina Homeschool Club meets in Riverview on Tuesdays and Thursdays 11:45 a.m.- 1:45 p.m. You do not need to be a YMCA member to take advantage of this exciting group. The fee is $10 per day with a $5 discount for siblings. The club takes children three years and up (potty trained) and averages ten campers a week. For more information, call 677-8400 and feel free to visit the new Facebook page. Camp Cristina Homeschool Club is located at 9840 Balm Riverview Rd. in Riverview.